Onchocerciasis is caused by the infection of a specific type of parasitic worm inside the human body. The parasite is almost always transferred to the human body by black flies through biting. Global statistics show that onchocerciasis is the second-highest infection-based cause of blindness in the world, second only to trachoma. Common symptoms of onchocerciasis include bumps under the skin, excessive itching, and finally blindness. Studies show that a patient needs to be bitten for a large number of times to contract onchocerciasis. There are, unfortunately, no vaccines present that can eradicate onchocerciasis. The most common form of cure for onchocerciasis is prevention, which is largely done using insect repellents or fully protective clothing near or inside rivers. Additional research and development is also being made towards the use of specialized insecticides that can help eliminate black flies, while from a medical perspective, the people living close to rivers can be given protective treatments twice a year. Common treatment includes the administration of a drug named ivermectin once every six to twelve months. However, it should be noted that ivermectin only destroys the larva without killing the adults. They can be weakened using doxycycline, an antibiotic that kills the bacteria associated with the adults. Additionally, surgical treatment may be recommended to patients in order to remove the lumps under their skins. The WHO lists onchocerciasis as a neglected tropical disease, and approximately 15.5 mn people are known to be suffering from it. The onchocerciasis market research report provides an in-depth analysis of the global onchocerciasis market and throws light on the major factors that are expected to fuel the growth of the market in the near future. Onchocerciasis, which is commonly known by the name of river blindness, is a disease that is caused by a parasitic worm named - Onchocerca volvulus. This infection disease is caused and spread in human beings through the bite of Simulium blackfly. This disease is considered as the second leading cause of blindness and can further lead to several other skin diseases. The rising awareness regarding this condition and the availability of therapeutics are expected to propel onchocerciasis market across the globe. The key segmentation, opportunities, and limitations in the onchocerciasis market have been highlighted to offer a clear understanding of the overall market. A substantial rise in the number of cases of onchocerciasis, especially among American population is one of the vital factors fuelling the growth of the global onchocerciasis market. In addition, the emergence of effective generic drugs for the treatment of onchocerciasis is expected to encourage the growth of the onchocerciasis market in the next few years. The growing focus of governments in developing economies on the development of healthcare infrastructure and creating an awareness regarding the condition are further estimated to accelerate the growth of the onchocerciasis market. Furthermore, the rising disposable income among consumers, increasing government support, reimbursements policies, and favorable tax benefits are some of the other important factors that are projected to supplement the growth of the global onchocerciasis market throughout the forecast period. With these factors, the market is likely to register a healthy growth rate in the near future. The global onchocerciasis market has been classified on the basis of geography to offer a strong understanding of the market. Among the key segments, Africa is projected to lead the global onchocerciasis market and hold a key share throughout the forecast period. The robust growth of this region can be attributed to the rising incidences of sustained and intense exposure to blackfly bites. In addition, the low awareness regarding the transmission of onchocerciasis disease is estimated to fuel the growth of the Africa market in the next few years. Furthermore, Latin America and South America markets for onchocerciasis are anticipated to witness substantial growth throughout the forecast period. The untapped market in these regions and the lucrative opportunities for the prominent players are likely to accelerate the growth of the onchocerciasis market in the near future. 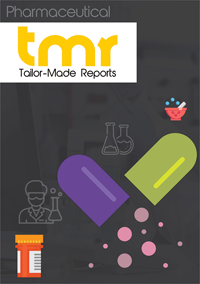 The leading players operating in the global onchocerciasis market are Merck & Co., Inc., Par Pharmaceutical Companies, Inc., Taj Pharmaceuticals Limited, Delta Pharma Ltd., Mayne Pharma Group, and Life Pharmaceutical Company. The increasing focus of key players on research and development activities and innovations is estimated to fuel the growth of the overall market throughout the forecast period. As per the study, the market is projected to witness stiff competition, owing to the rising number of players entering the global market.